As above, is there a special reason why digimon names end in mon? Digimon are digital lifeforms, and are made up of computer data, right? As we know, every kind of data file has an extension, or file format, for example a Microsoft Word document has ".doc" as its extension, a web page has ".html" and an image has ".jpeg", ".png", ".gif" etc, so perhaps the same thing applies for Digimon. The suffix -mon means monster as what the title also means. The name of a Digimon species is usually based on its form, and may be a pun. For example, Hyokomon's name and design are derived from the Japanese onomatopoeia for unsteady steps (「ひょこひょこ」 "Hyokohyoko"? ), as well as the Chick (Gallus gallus domesticus) (雛 Hiyoko?). The species's name always ends in "-mon". As for the data file extension theory, here is a possible connection. Digimon have different attributes. 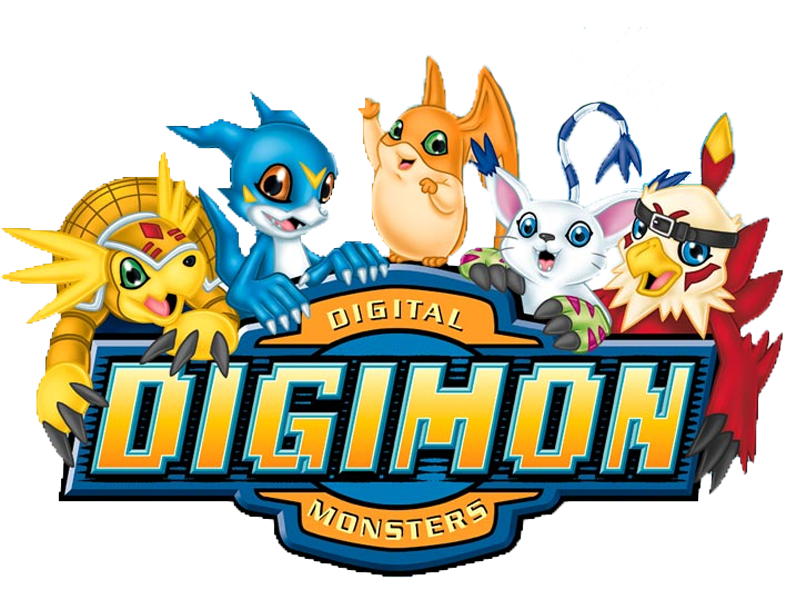 We know that Digimon are digital lifeforms residing in the digital world. Most Digimon species are classified into five attributes—Data, Vaccine, Virus, Free, and Variable. Most Digimon fall into the first three categories, with "Free" being rarer and "Variable" exclusive to Hybrid Digimon. Some Digimon either have their attributed by unidentified or lack them entirely. The main three attributes have a Rock, Paper, Scissors arrangement where Virus is generally advantaged against Data, Data is advantaged against Vaccine and Vaccine is advantaged against Virus. However, these attributes don't play a very important role in Digimon fights. A Digimon can generally defeat an opponent regardless of attribute if it is stronger than the opponent in Digivolution level and experience. Perhaps there is a file for every different Digimon (as in entire species, rather than singular Digimon), with that file format being ".mon", for example, the Agumon species filename would be "Agu.mon". I think it is what makes the most logic, something that is not directly explained because it requires you to think. "Dra" always refers to "dragon", "devi" to "devil", "Vam" to "Vampire, "De" to "demon" and so on. All the others have names that are a reference to something, whether it be a noise (Like Koromon) or otherwise. A file type does sound best and makes sense. Grani from Tamers was very obviously created as some kind of program. I wanna say that there was even a scene at some point that showed a computer display that read 'Grani.exe'. Zero ARMS: Grani is a ZERO-ARMS whose name and design are derived from the mythological Grani, the steed of the hero Sigurd. It serves as a flying mount for Gallantmon. If you want to explore the theory further, that might be a good place to start looking. It could imply what non-digimon digital lifeforms are classified as. If they are .exe filetypes, then it would imply to me that non-digimon digital lifeforms are literally part of the program of the Digital World, making them something akin to forces of nature like Gravity. It fits well with the idea of Gennai & the Digi-gnomes. The D-Reaper and Grani were also created by programmers, and specifically referred to as 'programs' in the anime. It originated from Tamagotchi, which Digimon is born from; every Tamagotchi's name ends in -tchi, a cutesy Japanese suffix. While -mon is not a suffix, they followed the same convention of having something at the end of every creature's name. That explains it, but still doesn't really justify the choice. Everyone realizes they're "Digital monsters"; not every creature needs a label. Oh well, at least it's fun. Also this might be due to making it more unique that in a way when you say a name like Agumon or Greymon anyone who hears it wouldn't say "Those are Digimons, right?" but would think exactly that "Those are Digimons" due to the -mon suffix. Furthermore, all Digimon names have an etymology/meaning. For example, Birdramon means "Bird Dragon Monster". It also helps make non-Digimon digital entities seem even more alien/bizarre to the setting. For example, Eaters feel "wrong" because they are not even Digimon but an entire different thing/monster. If Digimon didn't have the -mon suffix, the effect would be lost and Eater would be "just another Digimon". As for my previous comment. It is just stated that the OP is asking about why the names of Digimon ended with -mon. The answer of Memor-X is correct, it's just that saying that Digimon is like Pokemon is somewhat not right. We know that Digimon names end with -mon if we're talking about the names, and for Pokemon, they don't. Its just because that Digimon is named with -mon at the end because it may be a pun invented by its creator. At first, it is titled Pocket Monsters. However they shortened it to Pokémon for a catchier name and also because the term Pocket Monsters was already coined in the U.S.
Pokémon is short for the original Japanese title of Pocket Monsters. The name Pokémon is the romanized contraction of the Japanese brand Pocket Monsters (ポケットモンスター Poketto Monsutā? ), as such contractions are very common in Japan.